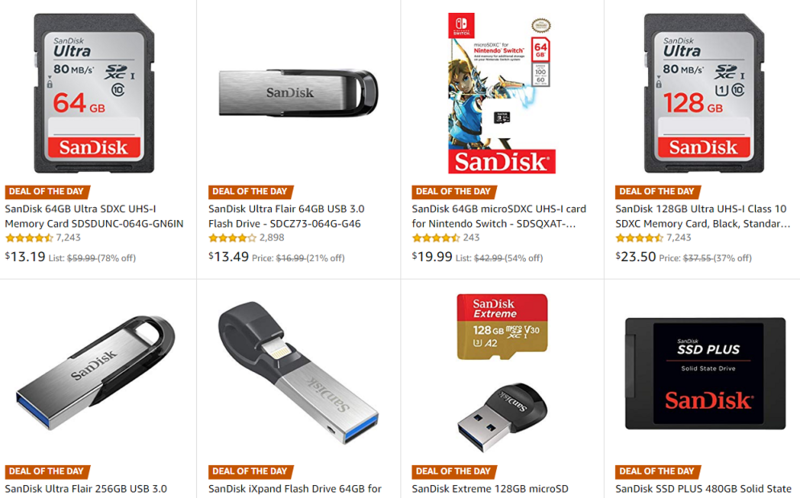 Today Only Deal: Amazon US today is offering several great deals on SanDisk storage products, you can save up to 78% on selected products, including SanDisk 128GB & 64GB Ultra UHS-I Class 10 SDXC Memory Card and more. Limited time and Limited quantity available. Order now if you are interested. « Sony a7000 High End APS-C Mirrorless Camera Coming before Christmas?